I11617 1904 - 1981 (76 years) Submit Photo / Document Has 6 ancestors and 5 descendants in this family tree. Born Julius Rosenberg, he owned the Hi-Hat, a popular jazz venue in Boston's South End. The Hi-Hat was destroyed by a fire in the late 1950s. Rhodes also owned the Hi-Hat Cafe in Boston's Allston neighborhood in the late 50s and early 60s. 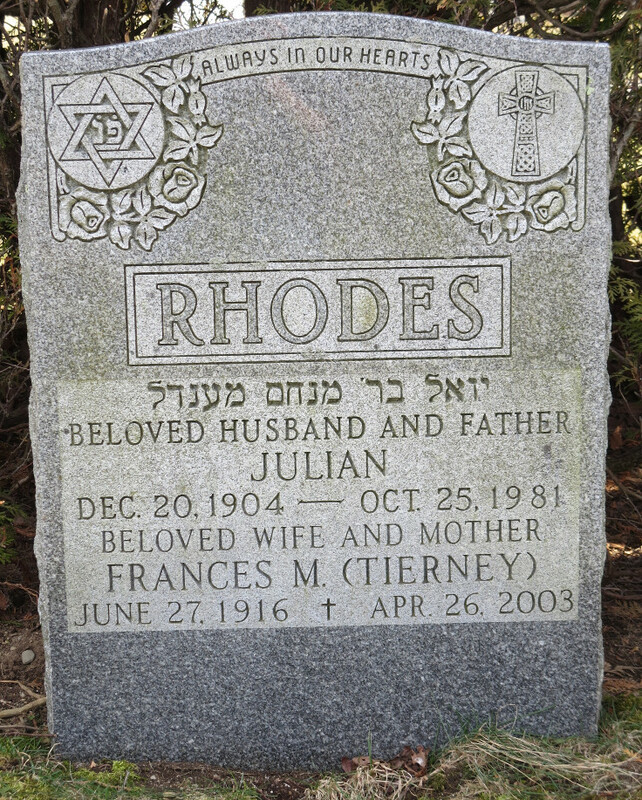 Named for his maternal grandfather, Yoel Tuch, who died in Lithuania in 1889.